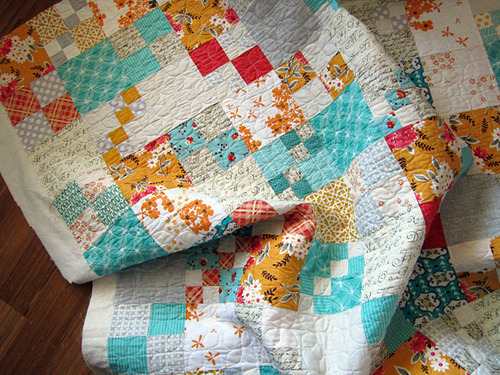 "This quilt-along is based on my Vintage Tangerine quilt from spring 2013 - a vintage-inspired classic! 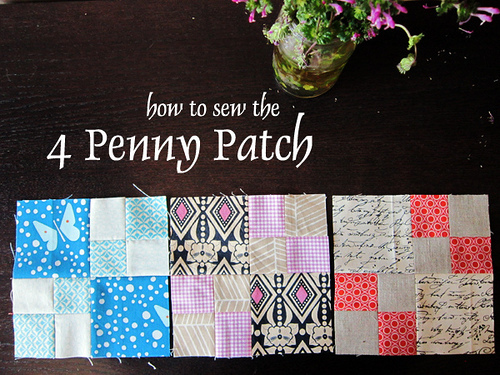 The main block in the quilt is the 4-penny patch, hence the name. It's definitely one of my favorite quilts so far and so easy to make. You can make a super-manageable baby-sized quilt (42" x 54"), a throw quilt (60" x 72") or a twin-sized quilt (66" x 90"). I recommend the baby or throw quilt for first-timers!"